Soldering is Required. 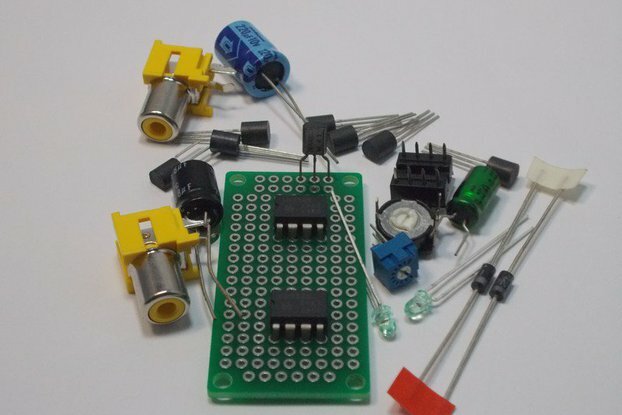 LM3915 DIY KIT LED VU Meter design with Dual-LED Row and Dual Pattern (Bar or Dot mode). The dual pattern is switch selectable and the sensitivity of the input can be adjusted by the variable-resistors (the blue potentiometers). This DIY Kit also comes equipped with dual 3.5mm input jacks which will accept an audio source coming from devices such as MP3 Players, Cell Phones, CD Players or other audio sources with low-output signal-voltage (audio signal voltage can range from 100-500 mV). 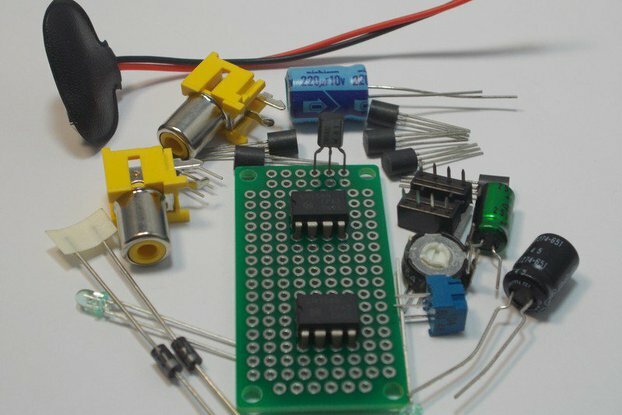 In addition, this DIY Kit can be powered from 9-12 Volts which makes it ideal for portable applications when powered from a 9 Volt square battery. Furthermore, when the LED pattern is selected to Bar or Dot Mode, the installed capacitor-array will delay the last audio-peak to give it a soft FADE effect. 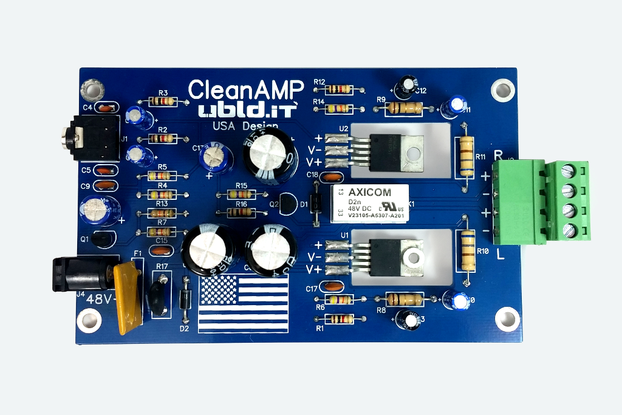 Finally, this DIY KIT can be set to mix the audio signals coming from the MICs and the Input Jack (please notice that this mixing of audio signals is only for the purpose of detecting the highest voltage peaks either from the MICs or the Input Jack). Power Supply from 9-12 Volts. Input Audio Signal Range: 100-500 mV. Main Switch for Power On/Off. Dual 10-LEDs Row (20-LEDs total). Dual Channel 3.5mm Input Jacks (only one input selectable at a time). Dual Mixing of Audio Signal (signal coming from MICs and Input Jack). Bar or Dot Mode Switch Selectable. Measurements: 4” x 2” x 0.70” (Length x Width x Height in inches). The soldering of this DIY Electronic KIT is easy. Buyer is required to have basic-soldering skills. The product photos show the DIY Electronic-Parts. The buyer will receive complete DIY KIT Parts ready for soldering. Also, the product photos show how the KIT looks when fully soldered. If you have any questions or inquiries, please ask, thank you.